Just when the world is finally coming around to culottes, one directional street style star is calling it quits on her relationship with the cropped wide-leg pants. Leandra Medine, one of the original adopters of the trend, took to her site Man Repeller this week to wax poetic on the state of culottes (and a few other styles she'd like to say goodbye to) and what she'll welcome into her wardrobe in their place. Being that she's such a trendsetter, her opinions are certainly noteworthy, in our books. 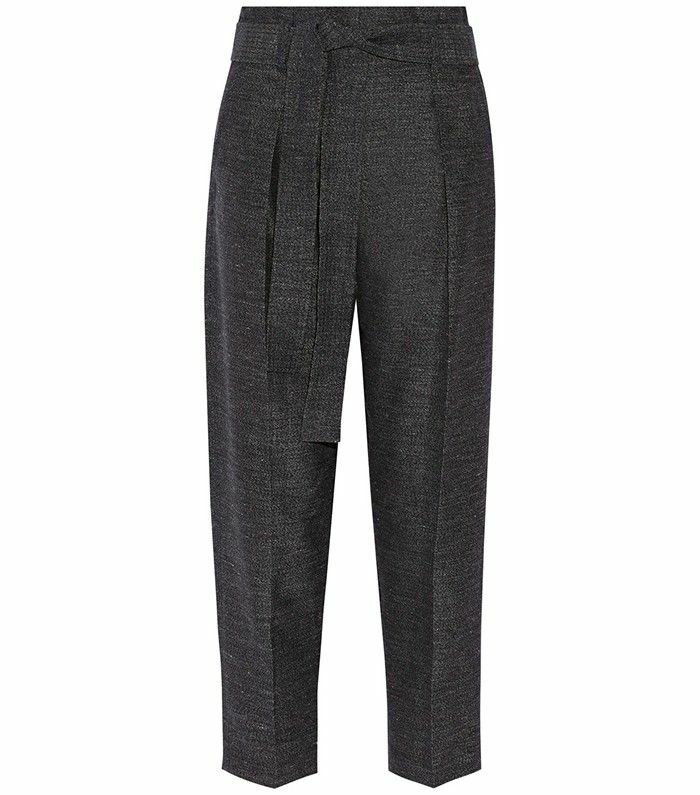 Medine listed three pant styles that she's wearing again—capris, track pants, and thick wool trousers. While the latter two have already made their way back among fashion's most stylish denizens, we expect a potential return of capri pants to be as polarizing as culottes, if it does happen. The other trend swaps that she's making include sneakers for ballet flats, ankle boots and cropped pants for loose-fitting pants and knee-high boots, fitted coats for robes, and button-down shirts for half-zips and Victorian styles. We'll be on the fashion month street style lookout to see how Medine wears these pieces! Scroll down to shop the new pant styles that could be on deck to replace culottes, according to the Man Repeller herself. Would you give up culottes for any of Leandra Medine's proposed styles? Tell us in the comments below!